A man wanted for theft and assault could be on the loose in Geelong, police have warned. 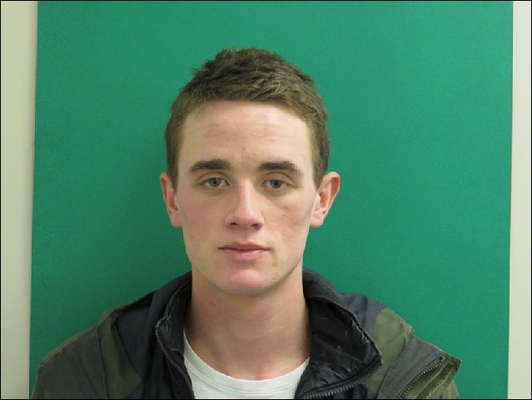 Police are hunting 22-year-old Jacob Cartwright-Mann, who had warrants issued for his arrest for theft and assault-related offences. Cartwright-Mann is about 175cm tall with a thin build, green eyes and brown hair. Investigators believe he may be in the Geelong area and he is also known to frequent Melbourne’s CBD. Investigators on Tuesday released an image of Cartwright-Mann in the hope someone may have information on his current whereabouts. On 18 January police arrested him in relation to alleged burglary, theft and criminal damage offences. He fronted Melbourne Magistrates’ Court the following day. Police urged anyone who sights Cartwright-Mann or has information on his current whereabouts to phone Crime Stoppers on 1800 333 000.